WASHINGTON, DC –The World Trade Organization (WTO) today issued a long-awaited ruling that Australia’s pioneering law requiring plain packaging for tobacco products does not violate international trade and intellectual property agreements. This is a landmark victory in the global fight against tobacco use and a resounding defeat for the tobacco industry, which has fiercely fought plain packaging laws. To date, the tobacco industry has lost every legal challenge to plain packaging both in international and national courts, not only in Australia, but also in the United Kingdom, France, Norway and the European Union. This victory for Australia provides a tremendous boost to the growing global movement to require that cigarettes and other tobacco products be sold in plain packaging, without colorful logos and other branding that attract youth, mislead consumers and increase the appeal of these deadly and addictive products. Plain packaging laws are both scientifically and legally sound. Other countries considering plain packaging should move forward with the confidence that they can defeat tobacco industry challenges. News reports indicate that some countries involved intend to appeal today’s decision. However, given the strong terms of today’s ruling, any such appeal should not deter other countries from proceeding with plans to adopt their own plain packaging laws. 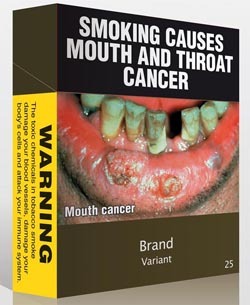 Tobacco companies have fought plain packaging because they know it works. After Australia implemented plain packaging and other tobacco control measures in 2012, public understanding of the dangers of tobacco use rose and smoking rates fell at the fastest pace in more than two decades (see our summary of the scientific evidence supporting plain packaging). 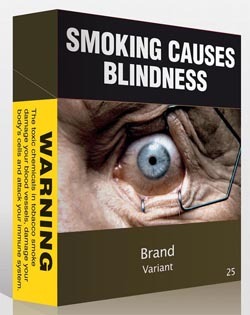 Subsequently, plain packaging laws have been adopted by France, the United Kingdom, New Zealand, Norway, Ireland, Hungary and Slovenia (not all have been fully implemented). Numerous other countries are considering or are in the process of adopting such laws, and Canada last week announced proposed regulations for plain packaging (see our up-to-date list of countries that have adopted or are considering such laws). The WTO challenge against Australia was initiated by Ukraine, Honduras, the Dominican Republic, Indonesia and Cuba on the basis of alleged breaches of international trade and intellectual property agreements. It has been reported that Ukraine, Honduras and the Dominican Republic received technical and financial support from British American Tobacco and Philip Morris International. It was also reported that Ukraine filed the complaint against Australia at the request of the American Chamber of Commerce, a group with a well-documented history of working on behalf of tobacco companies. Ukraine subsequently withdrew its complaint. Tobacco use kills more than seven million people worldwide each year and is projected to kill one billion people this century unless countries take strong action now to prevent it. 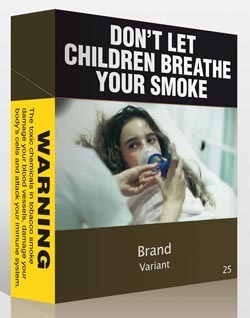 Plain packaging is a bold strategy to save lives that should be implemented as a key element of a comprehensive approach to reducing tobacco use, along with graphic health warnings, advertising bans, higher tobacco taxes and 100 percent smoke-free laws.